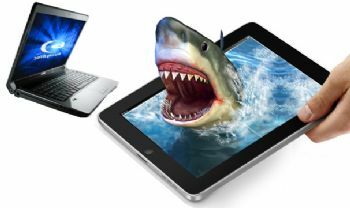 Tablet PCs are eating Laptops, a quick read..
Tablet PCs are getting popular. No one can doubt this. But if I say they are being preferred over laptops, some might ask for a little explanation. Actually, there is not much confusion now and it has rather become relatively easier for a person to pick one between the two. Let us see the attributes and the advancements glued to the newer generation of Tablet PCs which are responsible for more and more head turns resulting in more and more sales, much more than avg Laptop sales. Tablets have eaten a good share of the market. Reason no.1 : Tablets are no longer just a mobile device meant for entertainment. They mean serious business now. With ever improving OS and hardware comparable to a basic laptop, Tablet PCs are luring a lot of customers who intend to a lot of business presentations and work on-the-go. Reason no.2 : As cloud computing has made its way into the internet arena, we have a lot of applications which we don’t really need to have physically on our system. By the virtue of this Tablets have become really powerful with no real disadvantage over Laptops, as long as you have good internet to support your Tab. Reason no.3 : One can now connect a number of external hardware to a Tablet PC, which until a few months ago was not that common and was seen as a major downside of a Tablet PC. 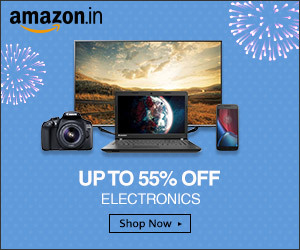 Be it an external keyboard, hard disk, mouse, HDMI and almost all what you see around compatible with a laptop, are compatible here as well. Reason no.4 : Though one has a lot of external hardware to assist one work on a Tab, Tabs are designed in such a way that one would seldom need anything other than one’s fingers to operate it totally. Reason no.5 : Size of a Tablet PC, not just makes it aptly convenient to view the stuffs, it also adds much more portability to it. And we can not see it as any sort of limitation as the manufacturers have myriad size-options (minimum 7-inch) offered to their customers. Reason no.6 : With smaller screen and optimum hard disk and no inbuilt keyboard tied, weight of the Tabs are many times lighter than the smallest of Laptops. Reason no. 7: SIM CARD SLOTS, using this your Tablet PC is also your phone. With SIM cards you have yet another option to access internet, using the inbuilt SIM-internet. SIM slots are not that feasible in Laptops. Reason no. 8: Price is right! Despite of all these good and better features found in a Tablet PC, an avg Tablet PC is comparatively cheaper and an avg Laptop.